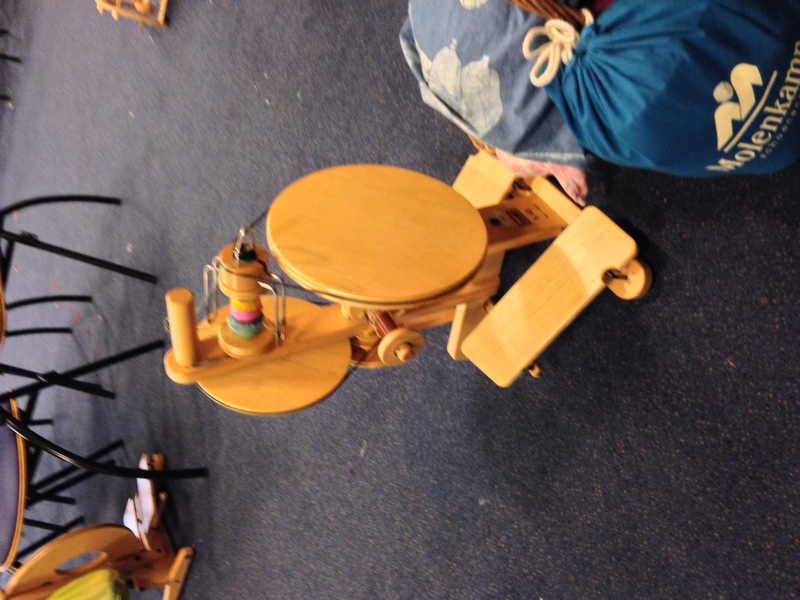 I was scheduled to run a couple of short workshops in the afternoon, so caught a bit of spinning time first. And I was in good company! 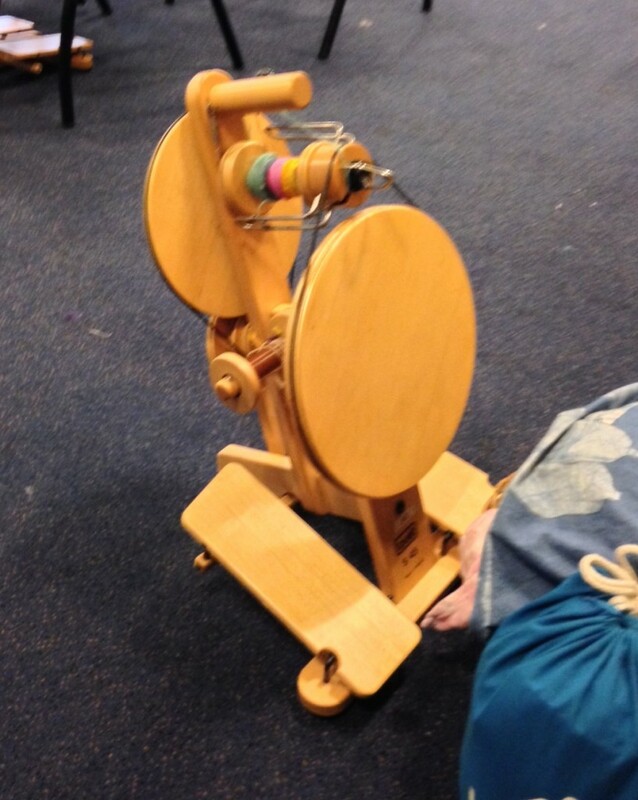 Check out my spinning bud Patty’s wheel! Yep it is, its a Golding and wow is it smoooooth. I think these wheels make a pretty good set! 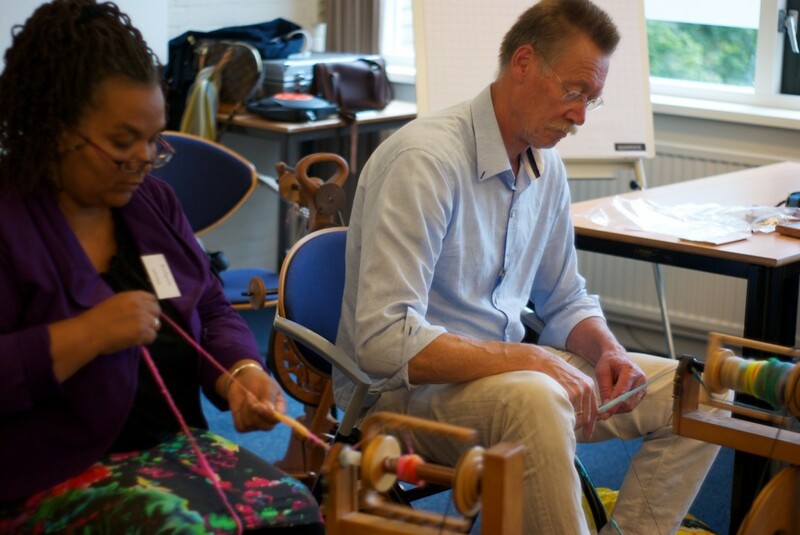 Patty was spinning super fine on the Golding, and it has the perfect ratios for lace weight, she was barely treadling. 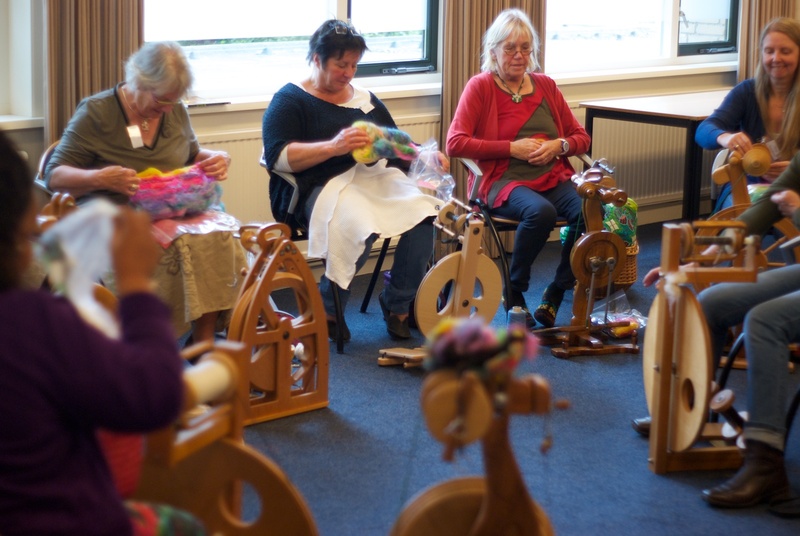 I was busy with some corespinning and making some sample yarns for the workshops. Watch the Great Wheel in action! I don’t know if there are other events globally like this one, share with me here if you know of one! 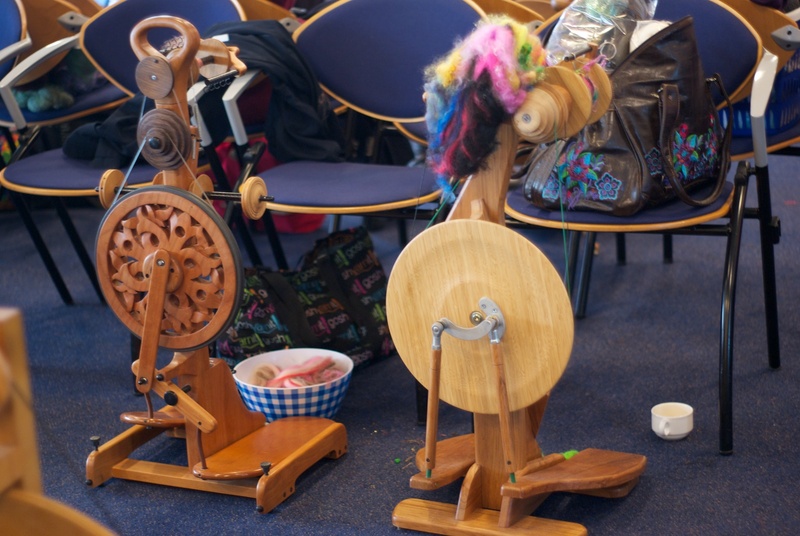 Its quite something to attend a meeting of so many spinners in one place! We had an awesome weekend. 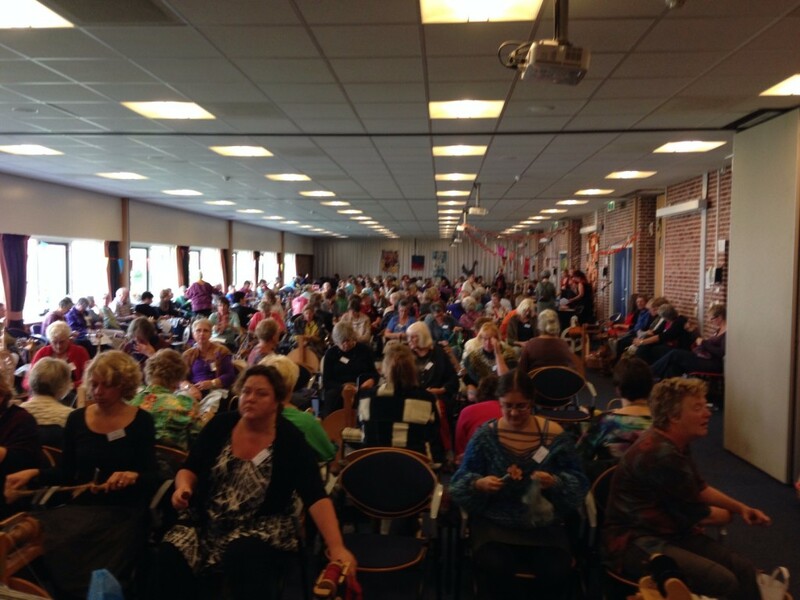 Thank you to the organisers, they did a fantastic job, because you know, organising this many spinners is just like herding cats, we all have our own ideas and lets face it, some of us are real diva’s who want what they want 😉 In the event however, it was a wonderfully friendly, exciting, and stimulating weekend with a huge amount of creativity and sharing going on. Pretty damn awesome. Heel erg gezellig! I am coming to the next Spin In in October! (with Amanda and Jane and Jenny etc etc from the UK). 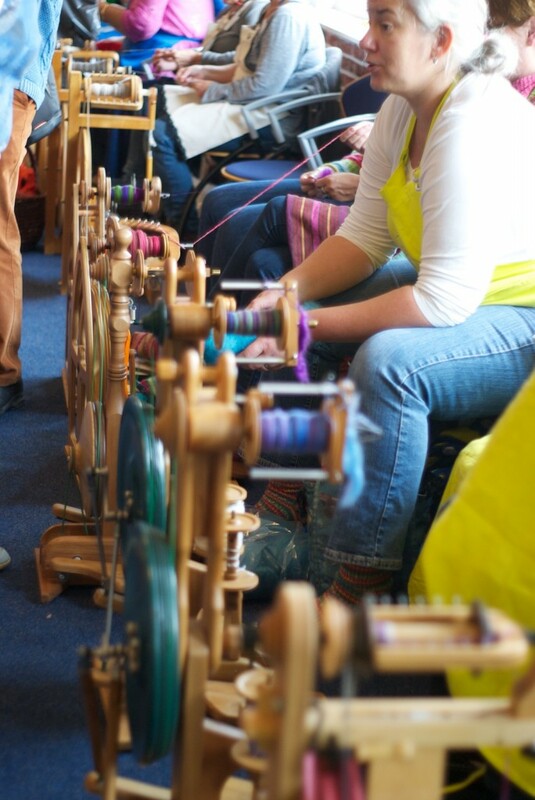 Here in UK we are getting more and more woolly festivals and weekends of spinning (and knitting/weaving/dyeing/felting) – Woolfest was the first, then Wonderwool, Fibre EAst, Skipnorth, a new one in three weeks in Bristol – there are more that I can’t remember off the top of my head! Here in NZ we have Spin-Ins, usually organized by a local club, who then invite other clubs for a day. I have been to 1 where there were at least 60-70 spinners. 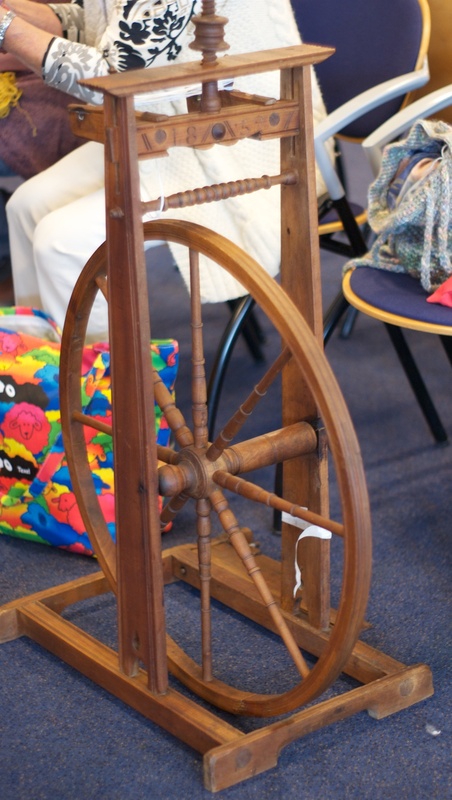 There are always raffles, much tea and a staggering amount of home made baking and cakes, perhaps a small fashion show or a guest speaker, definitely a show-and-tell. 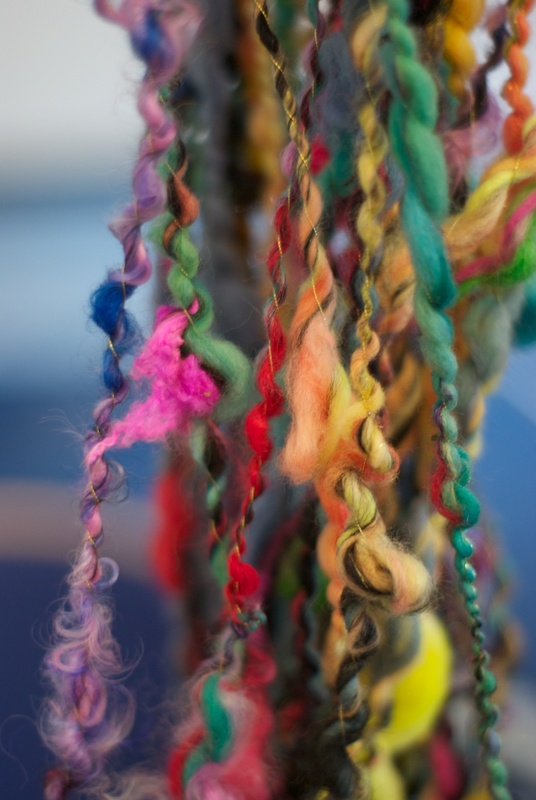 And often traders with dyed sliver, silks and bags of freshly shorn fleeces. Most of all they are held for socializing and making people connections. I sure would love to be able to buy yak down or qiviut, but I don’t think the ministry of Agriculture would allow it through our strict quarantine conditions. 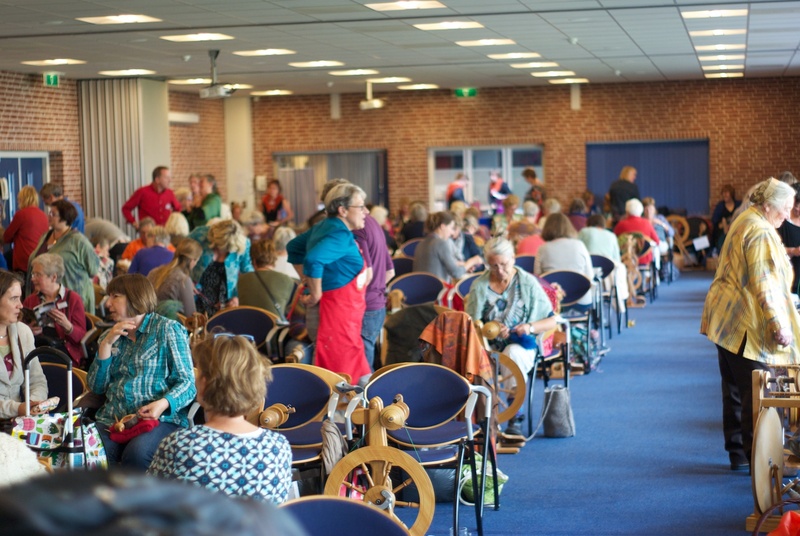 The Northwest Regional Spinners Association has an annual retreat with similar numbers of spinners…we spin Thursday-Sunday in a big gymnasium, and there are workshops Friday and Saturday. It rotates where it meets, between Oregon, Washington, and Idaho. On this side of the pond, every year there is SOAR–Spin Off Autumn Retreat. There are several days of classes before the Market opens for shopping. The event is held on one side of the country one year, then the other side the next year. This year it just so happens to be in my Chicago area. It’s toward the end of this month at Pheasant Run Golf Club in St. Charles, Illinois. I hear this is the last year for SOAR so new is brewing for next year! !